3. 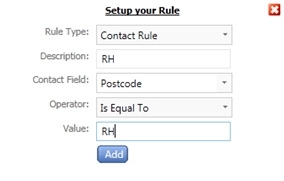 Now create a rule based on the contact rule that has a post code that equals to RH and click add. 4. 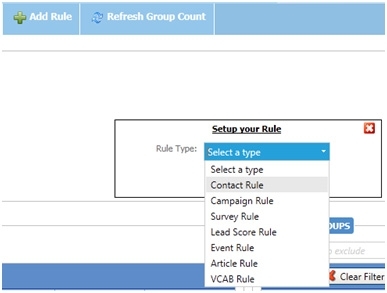 Now create a rule based on the contact rule that has a post code that equals to SE and click add.